„Check“ provides decision-makers in the fields of marketing and distribution with a number of tools for analysing and planning from the area of strategic executive management. These tools have all demonstrated their practical value over the years. They help users analyse their own company and determine its position on increasingly complex markets with a plethora of rivals and a general framework that is hard to grasp. In particular during the planning process, the various tools are ideally suited to provide a basis for discussion when cooperating with other departments within the company, such as controlling and production. 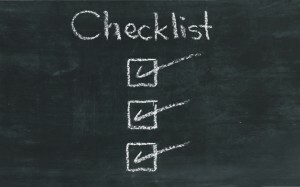 The “Check” box of tools helps to define positions and strategic approaches, and consequently also to find the necessary resources and devise the required schemes. Free downloads of all tools from the “Check” box of tools are available at „Service/Templates“ As they feature explanations, they can in general be used without outside support. However, consulting or coaching while you are working with these tools or after you have finished is available at all times (on request).